Purdue legacy and more! Gameplay thread. 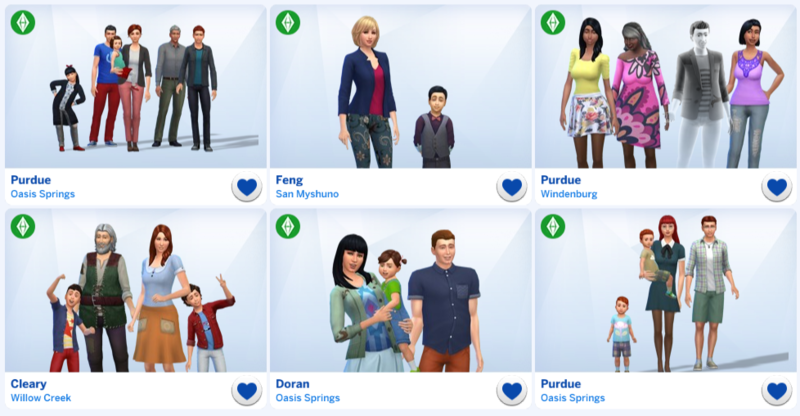 The Purdue legacy, my Sims 4 family which was never intended to stick around for multiple generations, but did anyway. I had a website for my Sims and gameplay but it's now offline. Here's the old thread, it has some of the earliest stories, but doesn't make as much sense since the website went offline. Threads like 'What happened in your game today?' are threads I am very fond of, but unfortunately, due to a bad internet connection, I can hardly load them. So I'll keep this thread to still be able to share my gameplay. 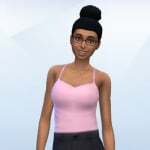 My founder, Jocelyn Dale, a sim I created to play the detective career with. 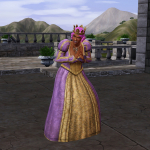 She married Ollie Purdue, one of the pre-made sims in the gallery. That's why this family has the Purdue name. They had one son, who in turn had four kids! The family tree continues from there. 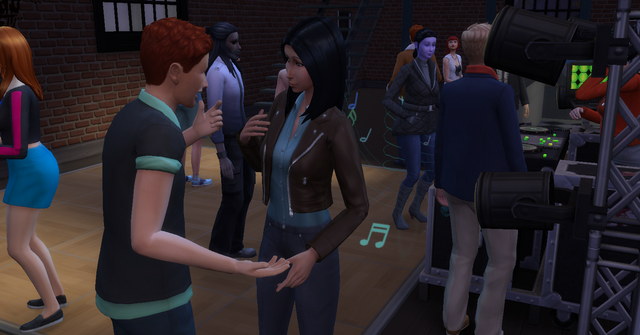 I now play rotational, long lifespan and with MCCC installed for story progression in my Sims 4 world. Keeping track of family trees has grown to be the thing I enjoy most about playing the game. Not only do I track my played tree, but also trees of other sims in the world. Generation 5, 6 and 7. With grandpa Trevor, his son Victor + wife Annie Doran and their youngest three kids, teen Andrew, kid Susan and toddler Erin. Generation 5's ex Annabel Feng, erratic woman and vampire! Mother of Victor, making her young son Nicholas the half brother of Victor. Nicholas is also the grandson of Vladislaus Straud. Trevor's youngest son / Victor's younger brother, Elliot. Elliot froze to death while meditating at the spa during a blizzard, leaving behind his wife Estrella and their two daughters. He now lives with them as a ghost. 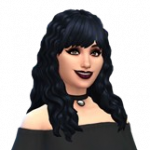 Diane Purdue is Victor and Annie's oldest daughter, she is an Outdoor Enthusiast and she married the hermit of granite falls, James, who she has two sons with; Robin and Steven. Timmy Doran, the younger brother of Annie, and his wife Monica and their toddler Erika. Daniel Purdue, Victor and Annie's oldest son and Diane's twin brother. He married Aisha Tipton and they have twin boys; Tobias and Sebastian. Daniel is a painter and has his own (work)shop. I see you're currently also playing a premade family, the Vatores, how cool! They also have a role in my game. 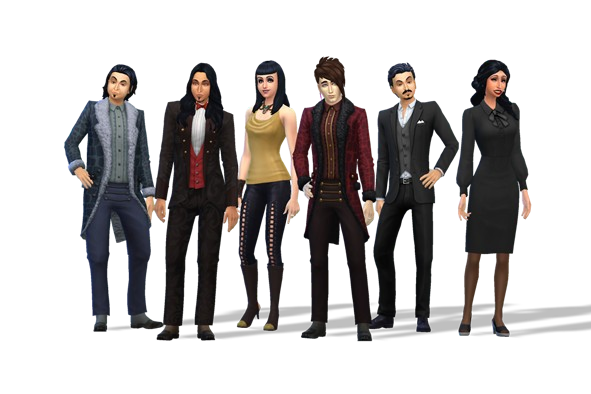 There are several pre-made families which have branched out in my game, including Vatore, Straud, Lothario, Munch, Goth and Landgraab. Playing for so many generations takes some creativity. You need to keep thinking of new ways to keep the gameplay interesting. Personally I find playing rotationally the best way to avoid it becoming tedious to go on! You might enjoy seeing this too. The Straud - Vatore family in my game. Lilith married Vlad's son Hector and they had triplets. Caleb lives with them. Hector, Lilith's husband, is also the father of Nicholas, Annabel's son. I'd love to have a look at your wordpress but just like other threads, the site is too heavyweight for my internet connection to handle. Takes forever for the pages to load. Do you maybe have a family overview of your Vatores? @DinowCookie WOW!! I LOVE SEEING THEM!!! Haha very funny how you've merged them with Vlad's family! Interesting, giving me some ideas for future generations haha! I do have this thread for now for updates, didn't realize wordpress could be content heavy for some peoples connections. I'll post some visual updates on the forum too! Thanks for that idea also haha! As for the Strauds and Vatores, it all went automatically through MCCC but it married Lilith with Hector and Caleb with Ceceilia, who was Vlad's human daughter and since passed away. An interesting coincidence how it matched them like that! Trevor and his girlfriend Paulina! His fourth partner after Annabel (vamp girlfriend! 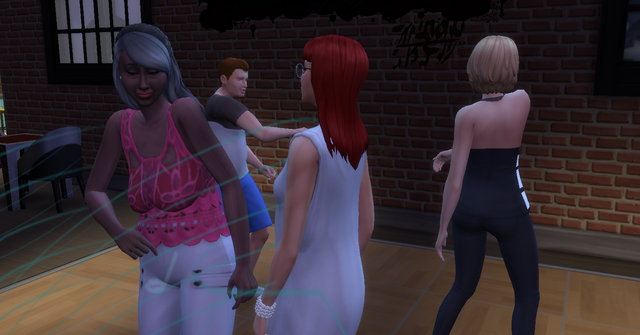 ), Paulina (wife) and Kyra Landgraab (second wife). Kind of awkward how she has the same name as his first wife.. But oh well, they're having good fun! And one of Victor and Annie. ^_^ A geeky gamer and ambitious businesswoman, it's a surprise this relationship is still going strong! Wow. I rarely get passed the second generation! Congrats. @Hejix thanks! Hehe it does take some dedication to continue playing the same save for so long. But once you're used to it, it's great fun. Andrew, Victor and Annie's teen son, has a girlfriend. Her name is Breana Crouse. He took her on a date. And guess who also showed up? Nearly the entire family! How convenient. 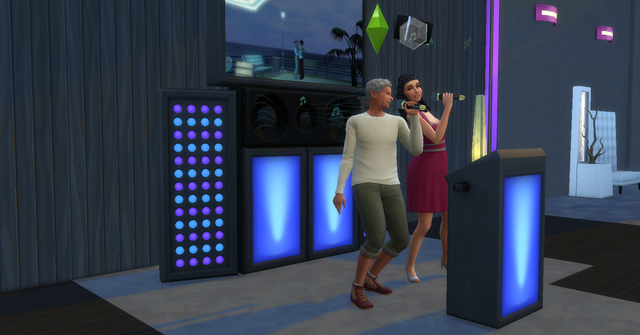 Poor Andrew had the 'Familial Distress' moodlet the entire evening. Having such a big family isn't always convenient! After maxing his video gaming and programming skills, Victor now also has a level 10 parenting skill!